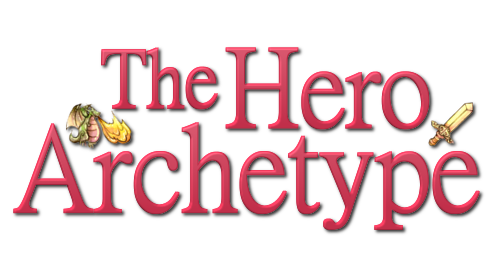 The Hero Archetype: Are realistic controls better than gamepads? Before we start, answer me this question: What do you look for in a controller? Does it has to be pretty or just comfortable? Does it has to be easy to use or you don’t mind spending some time until you master it? It has to behave as you expected it, right? That’s obvious. But, what else? Does it has to make you feel like your experiencing something real? Does it has to look like the object the game is trying to simulate (like a steering wheel or a gun)? Many players feel video game controls should feel right, be easy to use, behave as expected and make the player feel like they are in control; a series of attributes that have come to be known as controller naturalness. 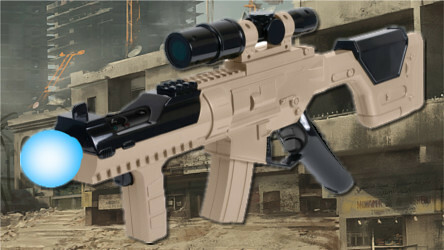 Do you need your controller to look like a rifle in order to fully enjoy a First Person Shooter? Companies have tried different ways to make their controllers feel natural. They have made sure there’s a correspondence between the controller’s directions and in-game actions (pressing the left arrow key should make the character move or look left, not up). They have developed cameras capable of recognizing precise body movements (like Microsfot’s Kinect). They have built motion sensitive controllers that can replicate real world actions (like swinging it to make a virtual bat hit a ball). And they have also designed realistic representations of real world devices, like steering wheels or sniper rifles (Skalski, Tamborini, Shelton, Buncher & Lindmark, 2011). But do they work? According to some experiments, when playing sports games that involve swinging a long object (like golf or baseball), motion controllers tend to feel more natural than gamepads (Skalski, et al., 2011; McGloin, Farrar & Krcmar, 2011). Also, playing a racing game with a steering wheel is perceived as more natural than playing with a keyboard, a joystick (Skalski, et al., 2011) or a gamepad (Skalski, et al., 2011; Schmierbach, Limperos & Woolley, 2012). Overall, it seems that controllers that facilitate the execution of movements that resembled real world actions (like moving a steering wheel to make a car turn) tend to feel more natural. An attribute that could also allow the use of previously acquired knowledge or skill on the subject (Tamborini & Skalski, 2006). Players could have learned about baseball by watching a match on TV or actually playing the game, and then apply this information to improve their performance. 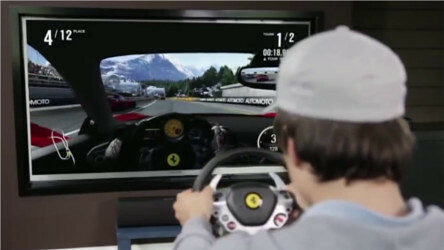 Motion controllers allow the execution of movements that resemble the actions portrayed in the game. While these studies suggest that realistic controls elicit a more natural feeling, this might not always be the case. Many variables can affect control naturalness. A new controller will always feel a bit awkward at first, a sensation that will disappear with repeated use. Some may just prefer a specific type of interface, depending on the game. For example, some players may love to play sports games with motion controllers, but prefer the good old mouse and keyboard in the case of first person shooters. Also, real world experience might not always benefit video game performance. Experienced drivers might find some driving games overly simplistic, even if they include realistic steering wheels, gear stick and a set of pedals. Why should companies worry about developing more natural controls? For starters, it seems to have some positive effects on the gameplay experience. In some of the mentioned studies, for example, controller naturalness increased how real graphics and sounds were perceived (McGloin, et al., 2011), as well as the feeling of being inside the game (Skalski, et al. 2011; McGloin, et al., 2011 & Schmierbach, et al., 2012). Some authors believe this happens because the use of information from the outside world makes the player feel like he’s participating in a real event (McGloin, et al., 2011). Others think it’s related with how natural controls make the player feel like their physical actions and selves are connected with the virtual environment (Schmierbach, et al., 2012), giving the impression that the in-game events are actually happening to him or her. Another possibility is that, as they provide a faster and better learning of the controls, natural interfaces reduce the time it takes for the controller to become less noticeable (Skalski, et al., 2011). Something necessary for the player to experience immersion. Are those my hands or the avatar’s on the steering wheel? Perceived control naturalness has also been found to increase enjoyment (Skalski, et al., 2011; McGloin, et al., 2011). This isn’t unexpected as natural controllers have been shown to increase the balance between challenge and skill (Schmierbach, et al., 2012), which tends to make games more fun. Maybe being able to use their previous experiences allowed the players to learn the game controls faster and better, improving their performance. Control naturalness also had a positive effect on transportation, an indicator of increased affective, cognitive and mental imagery involvement (Schmierbach, et al., 2012). It’s possible that a better sense of control made the players think and worry more about the in-game events, making the experience more entertaining. Natural controls can improve the experience of playing a game that simulates real world events. But what about games that represent fantastic actions, like flying or throwing energy beams? Some authors think natural controls can’t be applied to fantastic activities (e. g., Poole, 2000). With no real world counterparts, how would developers know what to replicate? Also, different players might have a very different idea of how each movement has to be executed. Even if designers manage to overcome this obstacle, would it feel real? Maybe controller naturalness in fantasy games depends on how closely the animation follows the player’s particular idea of how the movement should be executed. Moving your hand forward to shoot a Hadouken in Street Fighter probably won’t feel as good as having to put our hands together, placing them next to your waist, opening them, waiting for the attack to charge and then slowly moving them forward until they face your enemy. The way natural interfaces interact with knowledge and skill could also be used to improve training programs. 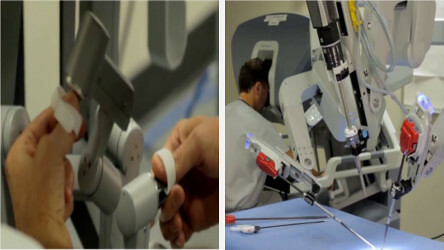 Some devices have already been developed for future surgeons to practice complex operations in virtual environments without any risk. The idea could also be applied to less serious scenarios, like sports. Golf and baseball players might benefit from the development of controls and games specially designed for professional training. However, the capacity of this type of systems to improve learning might decrease in the case of experts, as they would be able to notice even the slightest of the differences between the simulation and the real world procedure. Simulators with natural interfaces are being tested as a new way to train future surgeons. Natural interfaces can benefit gameplay. However, this doesn’t mean that more realistic controllers would necessarily feel more natural. The level in which a player has adapted to a particular type of interface or its compatibility with a specific video game genre also influences the perceived naturalness. Either way, the capacity of controllers to enhance gameplay depends more on the user experience and preference than on any particular feature of the device. Before choosing your next controller just think about this: Which one feels more comfortable and makes you feel in control? Which one just feels right? Poole, S. (2000). Trigger Happy. New York: Arcade Publishing. Tamborini, R., & Skalski, P. (2006). The role of presence in the experience of electronic games. In P., Vorderer, & J., Bryant, (eds). Playing video games: Motives, responses, and consequences (pp. 225-240). Mahwah, New Jersey: Lawrence Erlbaum.